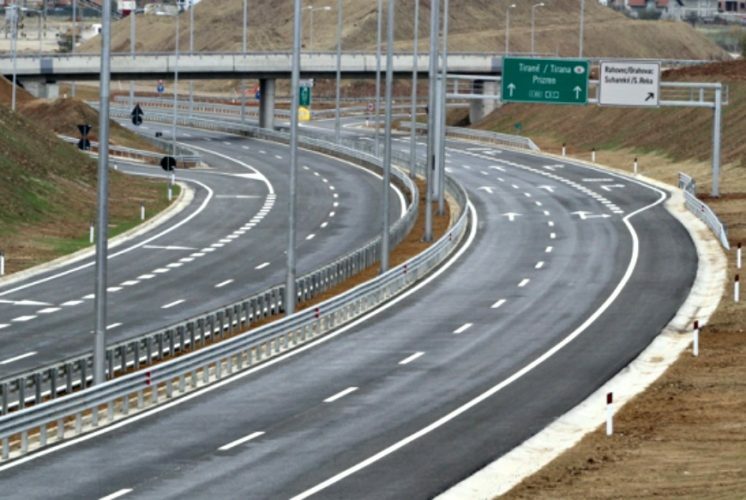 Frequent road users of the Albanian-Kosovo highway will pay a smaller toll charge, which is expected to be introduced by Albanian authorities for the maintenance of the road. This is the progressive taxation that the Albanian government is planning to apply in this highway. Yesterday, the government briefed business representatives in Kosovo on this tax. Two government cabinet ministers, who visited the neighboring country yesterday, informed them about the options that exist for the solution of this issue, which has caused lots of debate recently. It’s been the Kosovo side which in the recent days has reacted by confirming that there is no information sent by the Albanian authorities regarding the new charge that is expected to be introduced. “We’re aiming to offer a discount for frequent users of this highway and the discount rate is being negotiated. We will not discriminate businesses. There will not be unfair competition due to the extra transportation costs. And the same practice will be followed with businesses, both Albanian and Kosovan businesses”, said the Albanian minister for Infrastructure and Energy, Damian Gjiknuri. The minister said that a toll charge is necessary for this road, while the rates will be discussed. “Everything is paid by Albanian taxpayers’ money. The road needs at least 7 million euros a year for maintenance and this amount needs to be generated. The amount must be either paid by Albanians, or road users and this is the truth”, he also explained, implying that the Albanian government does not withdraw from the decision to introduce a toll charge for cars using the Albania-Kosovo highway. However, this time, this charge is expected to be lower.